Massage therapy is the manipulation of soft tissues of the body, with emphasis on the muscles, connective tissue, tendons, ligaments, and joints. Massage therapy treatments are therapeutic, non-invasive, and improve your overall health and well-being. On your first massage therapy treatment, you will be required to fill out a complete health history. To ensure your massage therapist obtains an accurate health history, he/she will ask questions about your health and follow with an assessment. The massage therapist will then explain what kind of treatment they will provide for you, and what you should expect following your treatment. Our therapists adhere to strict and professional practice guidelines that ensure your privacy and confidentiality. Although most therapy sessions are conducted where no part of your body is exposed bare when it’s not being worked on, a therapist can also provide treatment through the sheets if a client is uncomfortable with removing clothing. The massage therapist will then provide care only when you consent to the treatment that has been discussed. 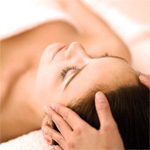 You can book massage therapy treatments for 30mins, 60mins, or 90mins. Massage therapy is covered under most extended health insurance plans. A massage therapist is a regulated health professional, who is registered with the College of Massage Therapists of Ontario. Only members are permitted to use the title Registered Massage Therapist. Can Massage Therapy Help You? Call and Book and Appointment Today!